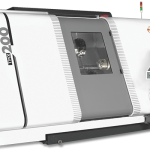 PX Series - Jyoti CNC Automation Ltd. | cnc machine, cnc lathe, vmc machine, hmc machine, cnc turning center, cnc milling machine, cnc machining center, cnc vertical machining center, cnc, vmc, hmc. 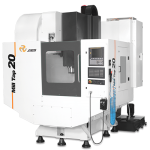 PX Series of vertical machining centre have been developed with aim to deliver ability to cope up with various arena of demanding manufacturing industry. 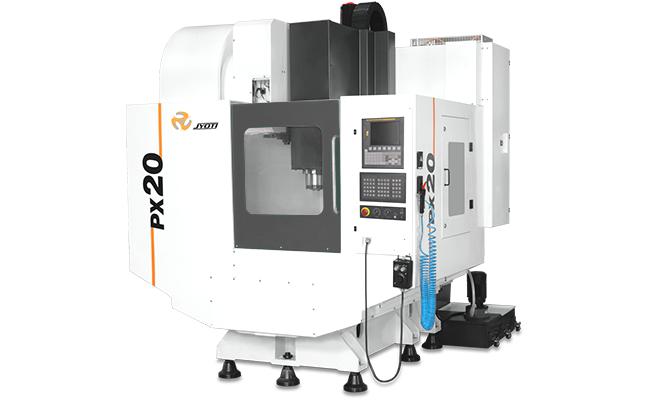 PX Series puts its position for a broad range of working area in 3-Axis segment to be a productivity partner with better rigidity & compatibility to give output for various application of machining solution. C-frame, fixed column, ribbed structure wall with FEM proven structure delivers sufficient rigidity during various applications. High dynamic and thermally stable structure. 8000 rpm rigid BT 40 spindle. High speed drilling tapping as well as milling operations.